In Hamburg, it is cruise ship season all year round. 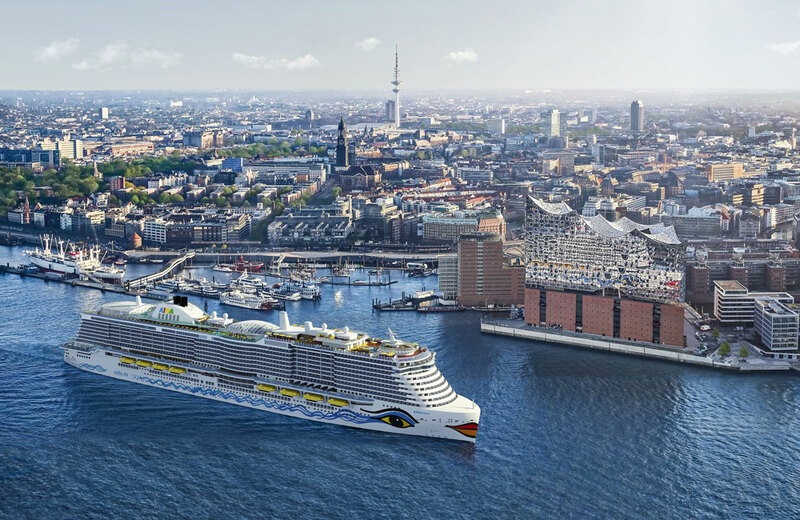 With more than 200 calls, The Hamburg Cruise Days, seven maiden calls and one christening this year also promise to be an exciting year for cruiseshipping in Hamburg. 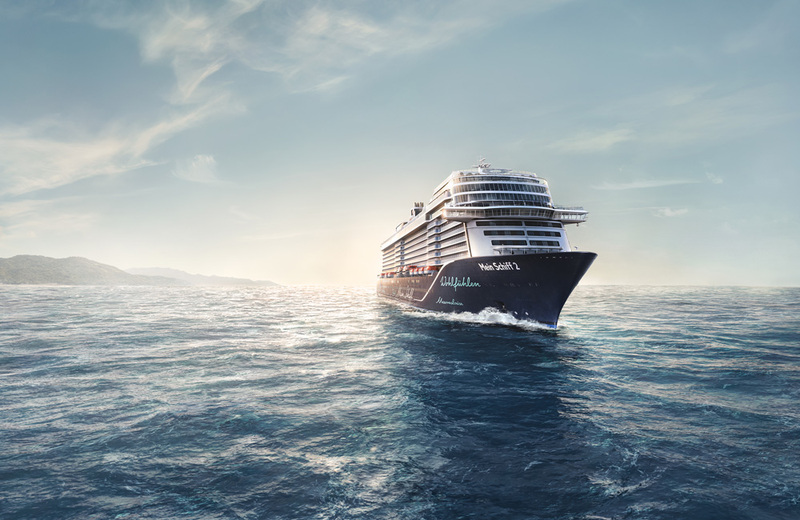 You can follow all cruise ships heading for Hamburg worldwide on our interactive map. 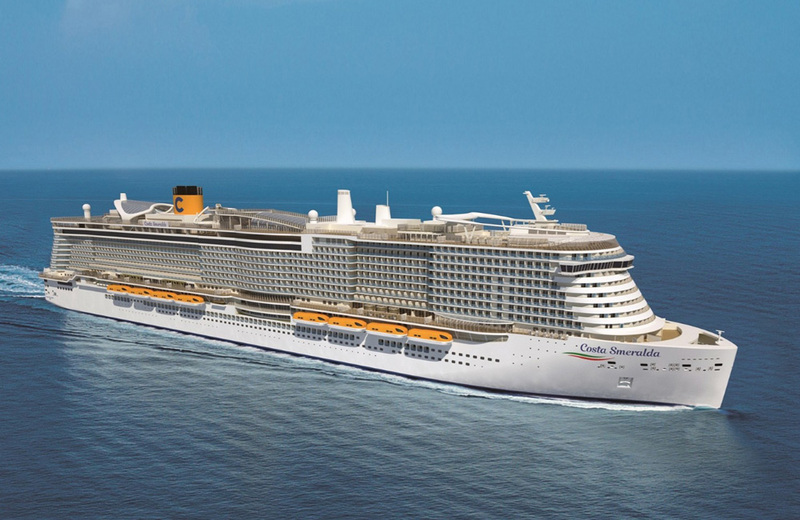 The gallery shows the notified cruise liners in chronological order. 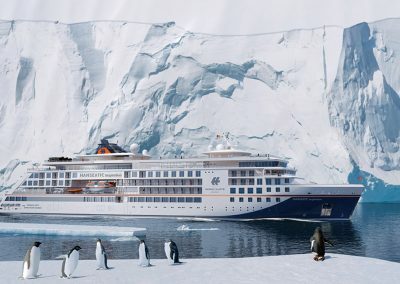 You will find more detailed information on ship’s calls and mooring allocation, plus current changes to calls, at www.cruisegate-hamburg.de. 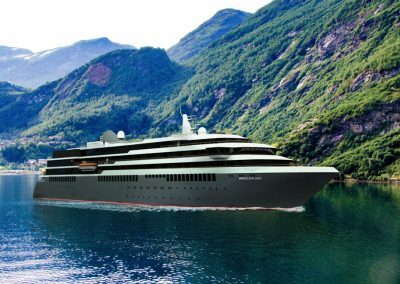 Seven debuting visitors have announced themselves for this year alone. 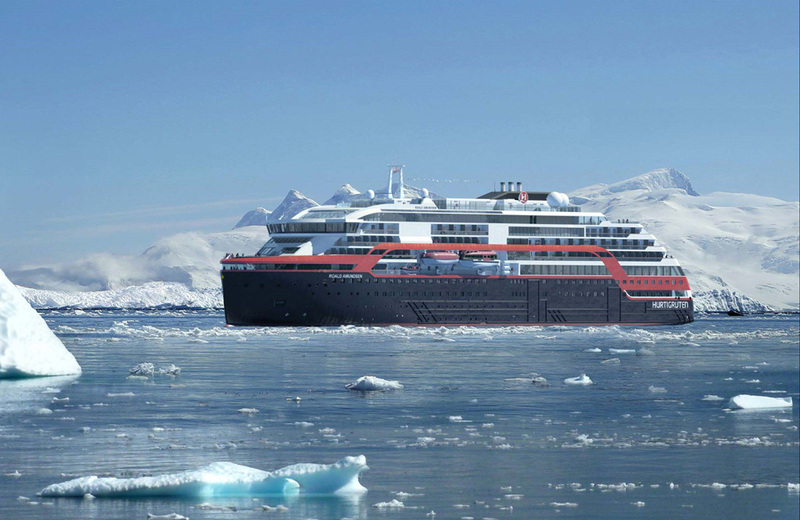 With four expedition ships exciting new destinations will be approached again this year. 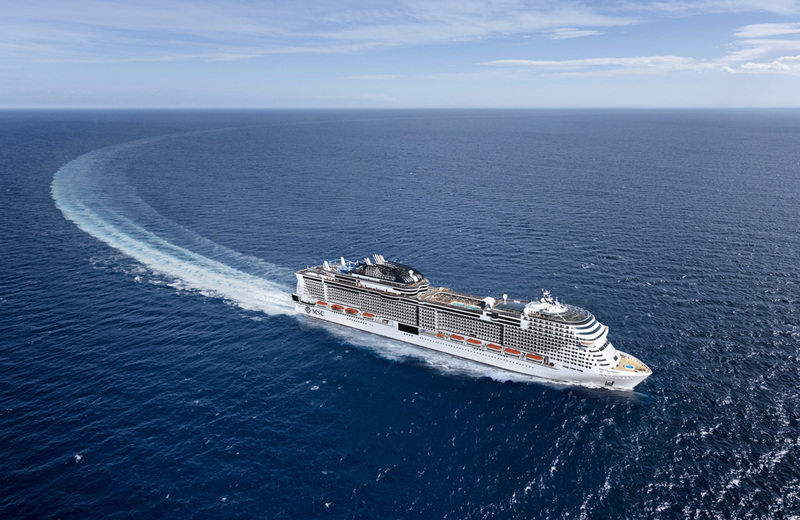 Another highlight is the christening of MSC Grandiosa in november! The platform on the former ramparts is a popular viewpoint. 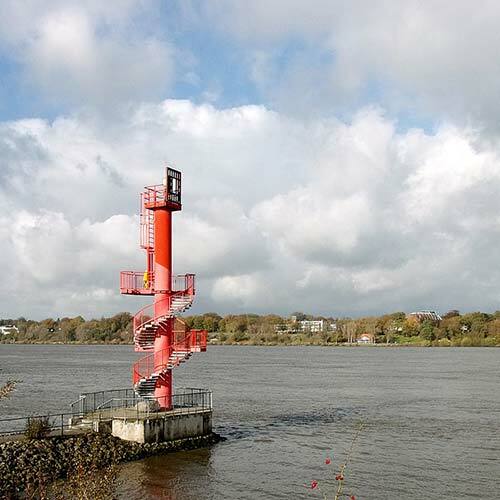 The tide gauge tower and the St. Pauli jetties are located in the foreground. 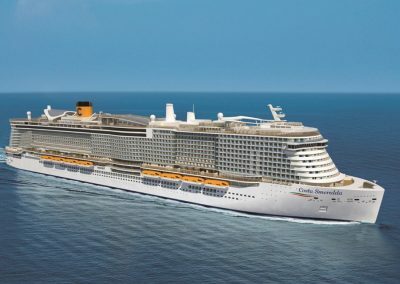 The elevated position allows spotters to follow the ships closely as they arrive into Cruise Terminal HafenCity. 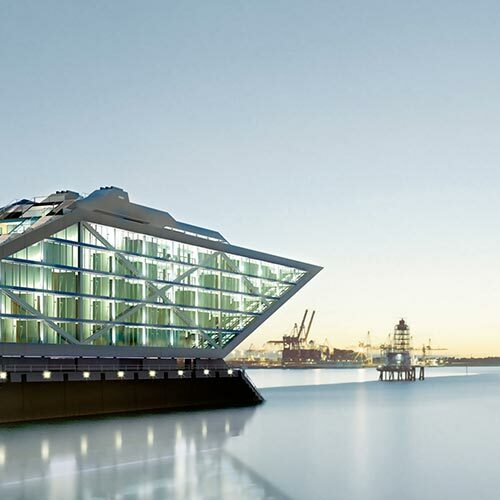 The streamlined office building floats above the water like a ship. The 500m2 roof terrace is accessible. 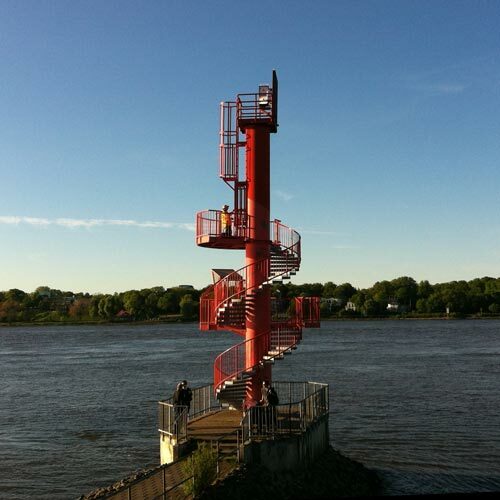 Right next door, you’ll find the Hamburg Cruise Terminal Altona, also with a viewing platform. Traditional ships of all kinds are kept in excellent shape in the museum port. Besan-Ewers, ocean yachts or steamboats are popular motifs themselves and often take travelling guests on board. 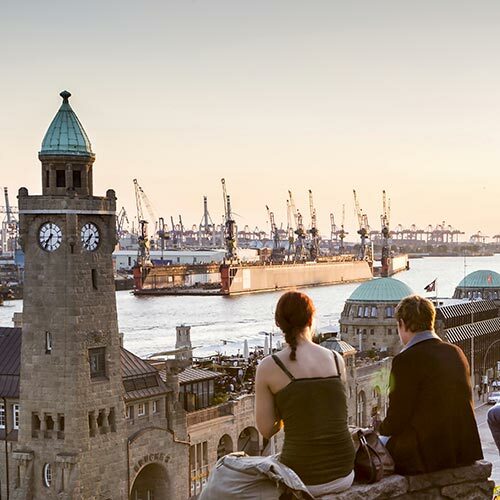 Landlubbers enjoy the view from the Elbe bank or from the pontoons, where the HADAG ferries also moor. 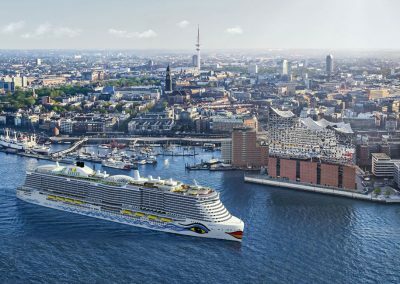 Cruise ships that moor in the HafenCity sail past Hamburg’s new landmark. 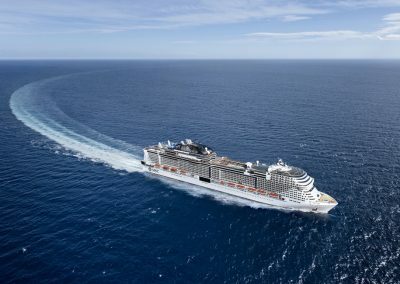 From the 37-metre high viewing platform visitors enjoy a fantastic panorama of the city and the port. Tickets without a booking fee can only be obtained directly at the Elphi; there is a fee for online pre-orders. 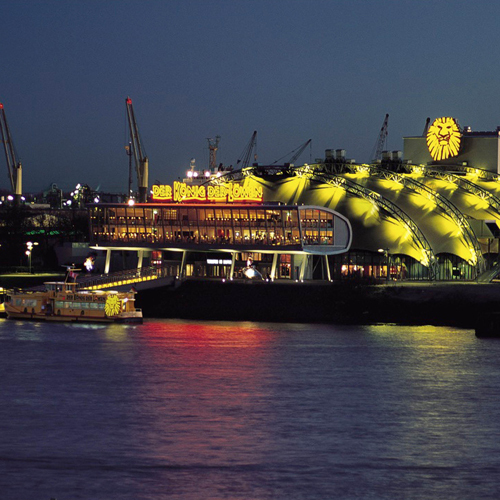 The two musical theatres at the port are served by ferry route 73. 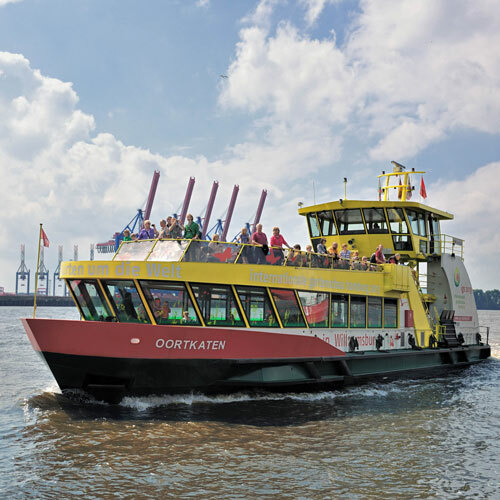 It shuttles theatregoers from St. Pauli Landungsbrücken to the southern Elbe bank. When the sun is out, light conditions are ideal for snapshots throughout the day on this side of the river. 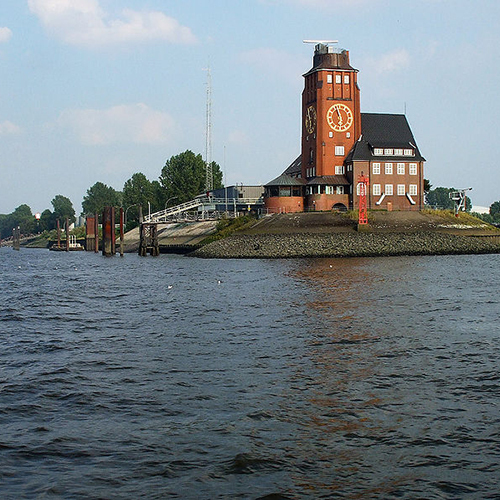 The Hamburg harbour pilots’ station and nautical office is located on the Bubendey bank. HADAG ships moor not far away. 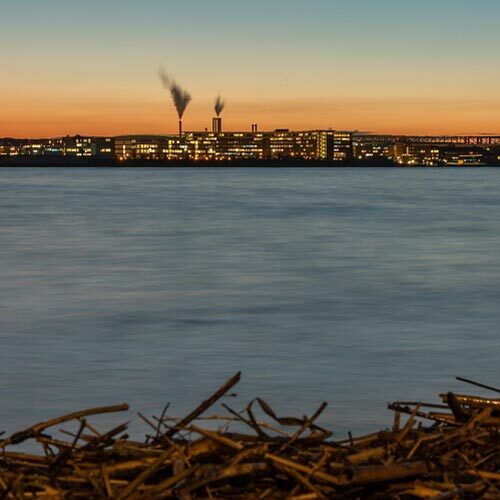 Departing ships can be photographed from the pontoon with Hamburg and port as a backdrop. 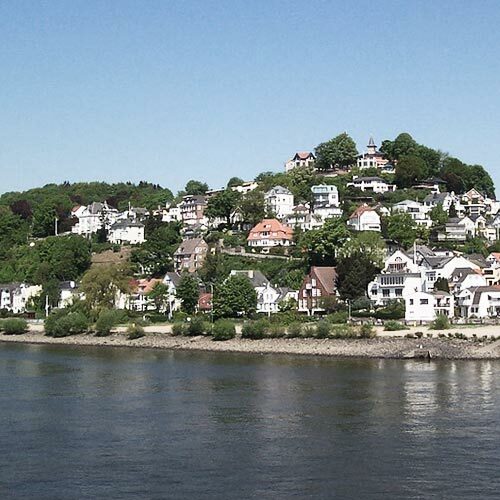 Likewise on the southern Elbe bank is the Rüschpark with terraces and a viewing tower. HADAG ferries take you there by water. 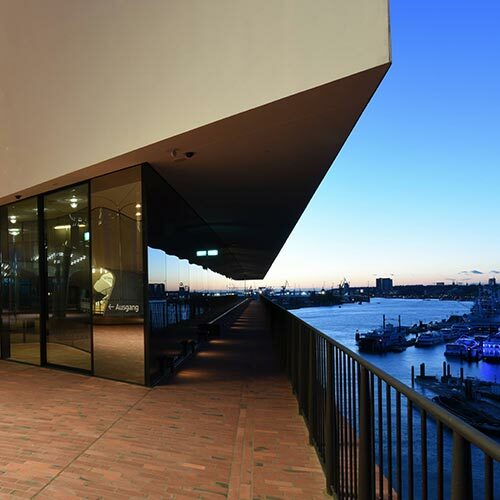 The jetty is located outside The Rilano Hotel Hamburg. It is just a few minutes’ walk from there. Getting there: Ferry route: no. 62 to Finkenwerder, change onto ferry route no. 64. The jetty for HADAG ferries is located below the Jenischpark. The pontoon is also very popular because of its culinary offerings. It’s impossible to get closer to the water than here. Getting there: Ferry route no. 64. 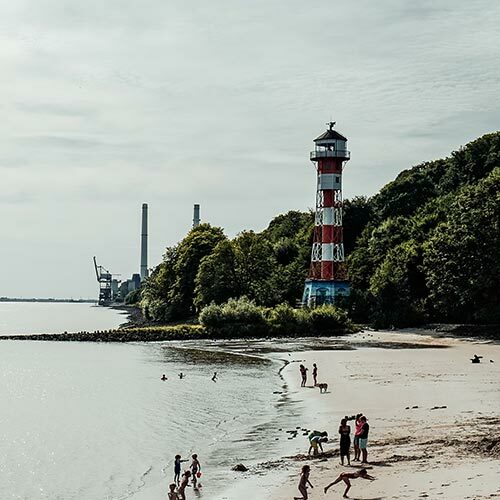 Hamburg’s most attractive beach is located in a nature conservation area on the Lower Elbe in the district of Rissen. Here, you can already see the ships from far away and keep them in your camera’s sights for a long time. 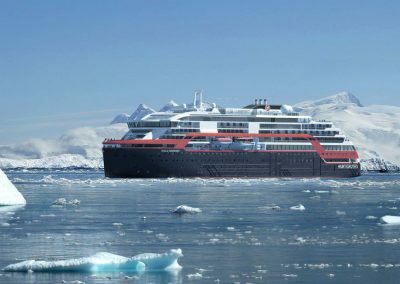 For maiden voyages, first calls and maritime celebrations, it is worth taking the additional guided tours by launch providers such as Abicht, Barkassen Meyer or others. 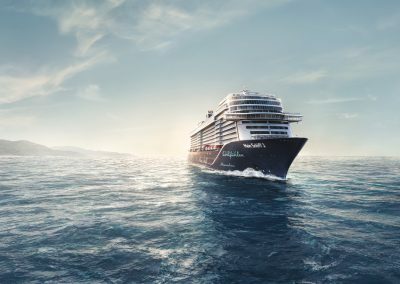 Impressive perspectives can be enjoyed from the water, but the ships’ swell requires a steady hand. 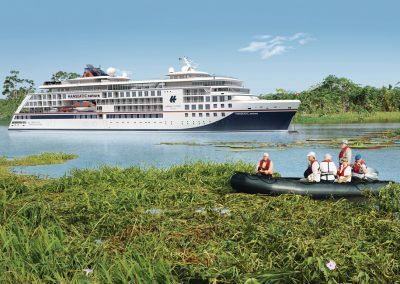 EXPERIENCE THE REAL CRUISE FEELING DURING AN ON-BOARD TOUR! 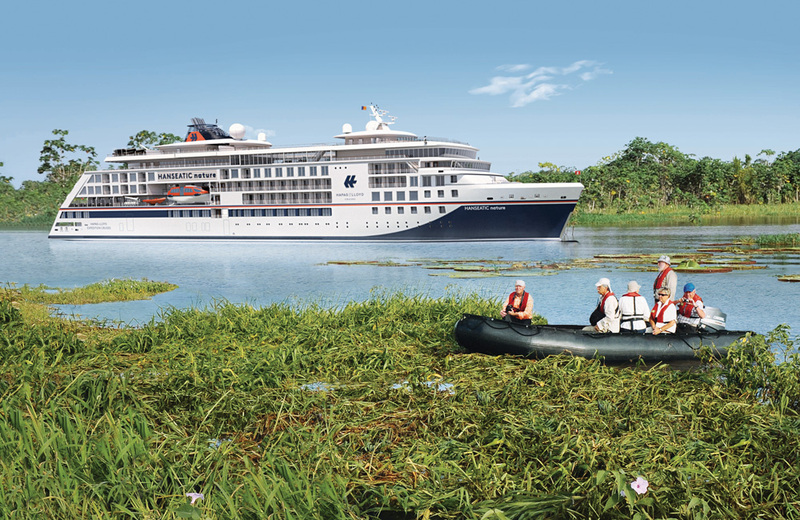 Various tour programmes on cruise ships are possible in Hamburg on selected dates. 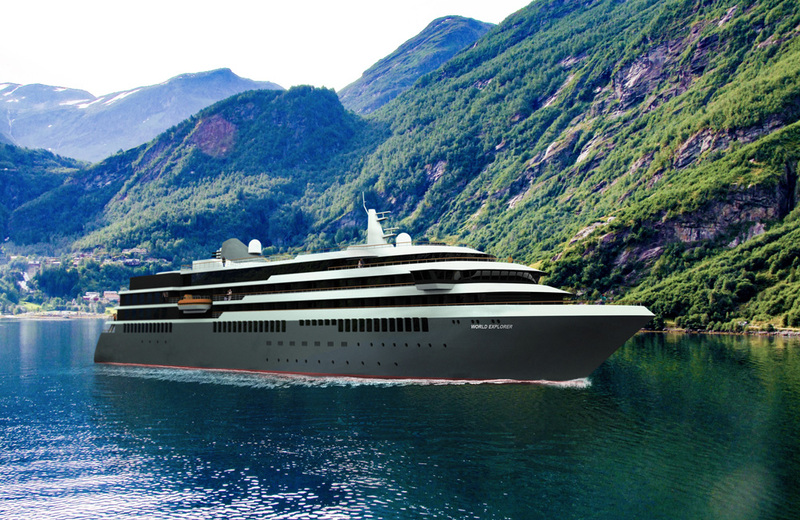 If you wish, you can even sample the on-board cuisine or spa area. 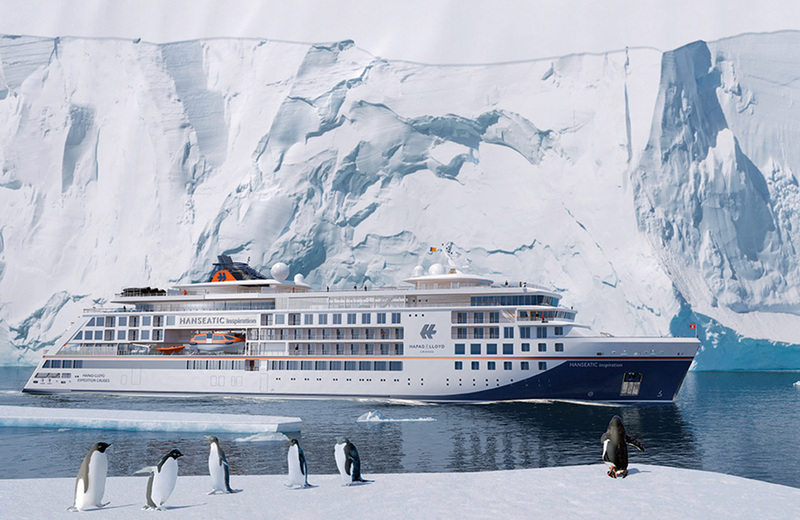 You will find all details plus registration info on the relevant liner’s website. from 10 a.m. till 1:30 p.m.
from 9.30 a.m. till 1.30 p.m. 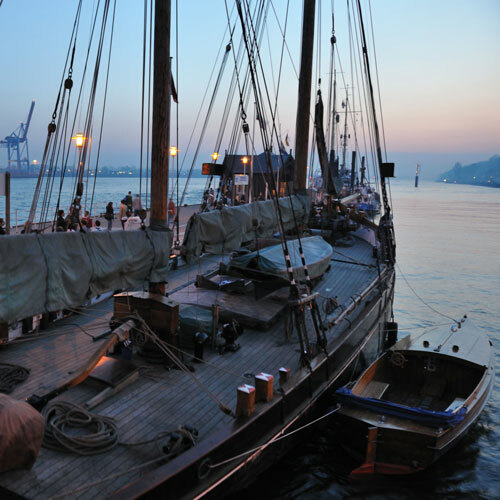 The preserved maritime traditions also include the fleet of historical museum ships, which will gladly take passengers, groups and charter guests for a tour through the port or on the Elbe. Fantastic perspectives on the ships moored at the quays open up from the water in the truest sense of the word. Additional tours and guided tours are also on offer for special occasions. Photos: Pixabay (7), www.mediaserver.hamburg.de / Andreas Vallbracht, Geheimtipp Hamburg, Jörg Modrow, Datenland Architektursimulation Erik Recke, Christian Spahrbier (3), Michael Zapf, Stage Entertainment. With the friendly support of the respective shipping companies.